Timesheets are easy but ineffective when it comes to employee monitoring. 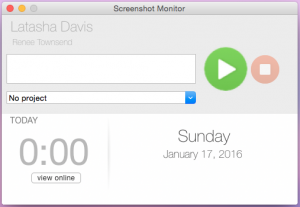 Today, I’m going to explore an online monitoring program, called Screenshot Monitor, that can help keep track of the progress employees make on work and also be a tool for employees who are responsible for their own reporting. Below you’ll find my Screenshot Monitor Review. 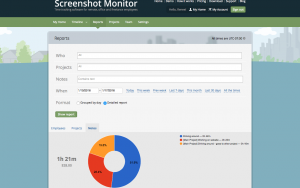 Screenshot Monitor is an employee and freelance tracking system. The software is a transparent tracking system which requires employee participation for use. That is, the employee is responsible for starting and stopping the program in order to track their time and tasks. The company stresses its software is not a spying tool, as the employee is responsible for starting and stopping the monitoring. In addition to the time and task tracking capabilities, Screenshot Monitor also captures periodic screenshots of the employees activities. Screenshot allows for tracking without an internet connection. Data will be updated automatically once connection is restored to the internet. All data is stored on ScreenshotMonitor.com. 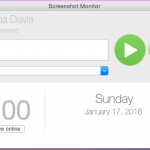 Screenshot Monitor includes an online manager dashboard that is viewable from an internet capable device. The online dashboard allows you to view employees’ time, tasks, and screenshots. Dashboard managers have the ability to associate an hourly dollar amount to employees to evaluate the employee return on investment. The software also comes with a reporting feature. Reports can be generated to analyze specific employees, and date ranges, and more. The reporting feature also allows data to be grouped by date or detailed time-sheets. Reports can be download into Excel for further analysis or to generate invoices. I signed up for the 30-day free trial, which granted me access to the Professional Level. After the signup, I was presented with the option to download the program or invite employees. Since I wanted to see the full effect of the program, I chose to invite employees, which gave me the option to invite myself and other employees. The dashboard allowed me to enter an employee email and set a dollar rate. I immediately noticed the program had an autosave feature after each entry. Employee signup. After receiving an invitation, each employee using the system must sign up with their own account and credentials. This allows employees to be track individually. The employee must then download the application. The program is very simplistic (see image to the right). It consists of a simply screen that allows one to start and stop tracking, an area for comments, and a pull-down menu to select a project. The program provides notices whenever screenshots are taken. The employee has access to delete the screenshots, which gives an added sense of control. Employees can view their progress by clicking the “view online” button. The employee menus has 3 options: My Home, which gives an overview of the time and money earned based upon the rates the manager set; Timeline, which includes the day-by-day and hour-by-hour, as well as the screenshots; and Reports, which includes a handful of filters and the option to share and download. I question the issues of it not being a employee spying tool. Even though employees control the amount of tracking, I believe it would be easy to coerce an employee into using the tool by attaching their hours worked to their pay. Manager Dashboard. Whereas the employee dashboard includes 3 menu items, the manager includes 6. The first menu item is My Home, which is very similar to the employees’ menu, except it includes tracking for all employees. The next menu item is the Timeline, which allows for the individual selection of an employee. Once an individual is selected, it has the exact same features as in the employee option. Likewise, the Reports menu is the same as the employee, but allows the additional option to filter by employee. The Projects menu is the first additional feature the manager has that employees don’t. Like the other menu items, this section is very simple. 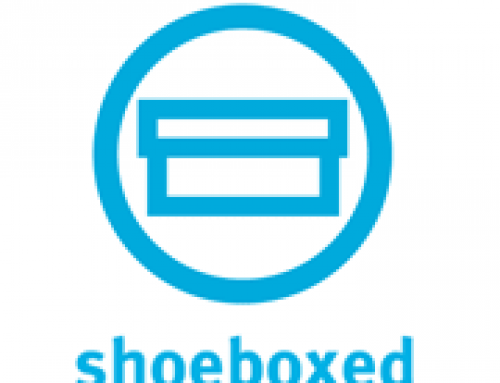 It allows the ability to add a project, archive, and restore the project. When a project is archived, employees are no longer able to track time it. One feature I would like here is the ability to assign projects to employees. The next is the Team menu, which gives the ability to add, archive and restore employees. Like the Projects menu, once an employee is archived, the employee is no longer able to track time or tasks. One of the features I like about the Team menu is the option to add rates. When used properly, this can be an excellent tool for invoicing billable services. Clicking on an employee name sends you to their specific Timeline link. The last menu item is the Settings, which is the most extensive part of the dashboard. In the settings, the manager is able to set the number of screenshots per hour. It provides the option to pause the tracking tool after a specified time. There is also an option that allows the employees to add offline time. This can come in handy when the employee is working away from a computer. As I mentioned earlier, the employees are also notified of screenshots. However, it can be disabled in the settings. One feature I really like in the settings is the ability to track activity levels, which shows how active an employee was during a particular screenshot by percentage levels. Another item, which is interesting, is the ability to limit the number of hours tracked. So, if an employee reaches a certain number of hours, the program disables the tracking feature. More of a personal issue, but I really don’t like that feature, as I see it as a way to short employees of pay. I’m one who believes one of a company’s most valuable resource is the employees, so treat them well. All that I mentioned in this paragraph allow the settings to be adjust for both the entire team or specific individuals. The Settings menu offers a couple of other features that are company based and apply to all employees. The first is refers to if the day of the week is set for Sunday or Monday. The next identifies the currency symbol. Keep in mind, this is my first experience with time tracking software, so I really don’t have a comparison point. Though the software is overly simple, it does do what it says it will do. I think of some software that is full of bells and whistles and find myself being overwhelmed. With this program I doubt most people would have that problem. However, if you need more bells and whistles, such as project management tools, this may not be the right software for your time tracking needs. When I think of my own office environment, we have a couple of systems for tracking our time, none of them very efficient. The main time tracking system we have is adding notes in our documentation system. People are forgetful and inaccurate. We’d still have to document in our system. However, having the clock tracking would at least take some of the guessing out of the game. The second, which we use for hourly students are timesheets. Our admin is constantly complaining about the students not getting their timesheets in on time or filling them out incorrectly with the wrong project codes. I can see this as an excellent way to reduce the problems associated with our two current tracking methods. One of the great features about this program is it tracks in real-time. Even when I added a project, it only took a couple of seconds for it to show on my desktop application. Though screenshots can be turned off, the screenshots are a nice way to measure productivity. Though I don’t suggest folks turn into micromanagers, as I imagine most managers have better things to do with their time than monitor how their employees spend every minute. Though I can see the tracking feature being used by managers in a way that they may end up with employees dissatisfied with their work environment, I can see this as an excellent tool for employees. Throughout my demo of this product, I thought about wonderful it would be to have this in my job, where I do need to track my hours on projects, not only for reporting but also for billing. As it is, I do a haphazard job and at times even forget to document some of my time. I’ll be using this program at work the next few weeks. I’m hesitate to recommend it to my supervisor because of the potential to micromanage. However, I can see it simplifying my tracking and helping our fiscal grant manager when it comes to reporting. [no project]. I didn’t see a place to change it later. So, it seems you’re stuck with an error when reporting and tracking time. This program is so simple, it’s difficult to say it’s anything but easy to use. With that said, I just has a few items that I found confusing. The first was in regards to tracking an item under the wrong project or no project. It makes reporting difficult. Next, it wasn’t immediately apparent that I had to locate the downloadable software after inviting myself (the manager). When I invited myself as a user, I received no email invitation to the program. After I invited a different email address, I realized the process was different when inviting the creator (manager) of an account and an employee. After the download and install, the program didn’t open immediately. I had to track it down in my applications to use it. Though a phone number is listed, the office does not provide 24 hour support. Other forms of support are offered through their contact page or mailing them directly. I submitted my question in the early hours of the night/morning on Sunday via their contact page. I received a response less than 12 hours later that Monday, which happened to be MLKJ day (a federal holiday). Not instantaneous, like phone support, but not bad either. 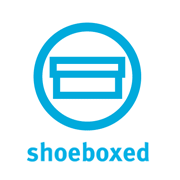 Initial signup includes a 30-day free trial at the Professional level without a credit card. Requires download, but information is stored at the host site, ScreenshotMonitor.com. 52.3 MB of space. No other requirements were specified. For those looking for an alternative to Screenshot Monitor, Amazon has a large selection to choose from. I do LIke a Free trial if ever I am interested in anything. To me this suggests that the manufacturer is happy with what they have produced and have confidence in their products. This is probably for a company with a large number of staff for which they need to manage time would you say, or could it be used for monitoring people working from home for example? I agree, Ruthm. It does show that the producers have confidence in their product, as people won’t sign up for a service if they have a bad experience. To answer your question, I think this would work best for small to mid-sized companies, teams/departments in larger companies, or freelancers. It could also be used for employees being monitored for home. I don’t want to say it’s great for every company. I think it’s a matter of determining your needs and deciding from there. What I will say is I would use it for myself when freelancing. I would also say it’s great for a small business owner who’s trying to determine their pricing strategy, as they’d be able to easily track how long it takes to perform a particular service and structure their fees around the average time. i could also see myself using it in my current company. We’re required to report the time we work on a particular project. However, I’m forgetful and prone to inaccuracies when reporting. This would help help me with that. My only concern is my employer using it to micromanage me, rather than it being a tool for my own personal efficiency. I like how the software works. Though I think is of more use for the employee than the employer. As you said, the employee needs to start and stop the program. I think it’s good for them to time themselves and manage their time better. I agree, Gabriel! This can be useful to employees. When I think of this software, I think of how it would simplify my day at work. I think if an employer took time to show an employee how it could make time tracking easier for reporting work (if that’s a requirement), the employee would jump on a tool like this. I think this is good program for companies but honestly I didn’t understood everything. I can tell you that you wrote your review very accurate and good way. I like your beautifully designed web and great pro/cons plugin which I used as well. Thank you for your response, Zhanna. What questions do you have? Maybe I can explain in a different way. It’s a pretty interesting program. If you’re looking to track your own work for client billing, it’s not a bad way to go. I plan to explore other software in the future, so I encourage you to check back. This is an interesting article. I have never heard of this tracking system before. It sound like it’s very invasive, but effective for saving company time. It would be interesting to have to work under one of these, because there would be much more less boss to employee interactions. Have you ever had to work under one of these tracking systems in your past? It would be interesting to hear about it firsthand. I was also concerned about the invasiveness. One of the things with the Screenshot Monitoring software is the employee is responsible for starting and stopping the monitoring and can even delete screenshots. It’s still invasive, but gives the employee a sense of control. I’ve personally never worked under this type of tracking system. My company uses a different type of tracking system. We’re responsible for documenting our work manually, along with tracking the time associated with the work. Getting all our time in is a big issue for us. We’re expected to track a 40 hour week (though we’re salaried), but there’s always downtime and forgetfulness. A few months ago, our director added another layer of tracking on top of the system we already use… a spreadsheet. I have to admit, I was extremely resistant to the spreadsheet. It’s more work on top of the documentation we already do, and things don’t fit as nicely into categories as people make it out to seem. Given the choice between the spreadsheet and Screenshot Monitor, which would I choose? It depends. I saw the spreadsheet as a way to micromanage employees. We’re in professions and adult enough, micromanagement irritates me to no end. After the introduction of those spread sheets, I don’t trust the supervision to use Screenshot Monitor in a way that would be beneficial to employees. In another organization, however, I think Screenshot Monitor would be a wonderful tool, particularly for tracking time for billing. If I could rewind time a couple of years or even months to before the introduction of the spreadsheet, I would have been interested in using a system like this at work. I’d still be resistant to the screenshots though, as it pushes into the area of micromanagement. However, I think it would be a lot easier tracking time on a project with a tool like this. As it right now, I’ll jot down my start time (if I remember) and hope that I remember to jot down my end time. Lots of guestimating. Anyway… no system is perfect. You have to pick and choose what works best for your company and employees. I have never heard of this program but I did the price on the full package and I understand why people would want to try it before they buy, I like your review it was very long but informitive. I also like how you said that you tried the product because most people don’t do that. I honestly think it would be to much pressure for an employee because it would seem that they are working on thier time management but it can be a tool for the company to see who is falling behind so it would be beneficial to the company but that’s my opinion I know you stated it is not used for spying but it could monitor. But its cool because people can try before they buy. I have a tendency to ramble, which is what happens in my reviews and posts. I could probably use a good editor to help me be more concise. haha I try the products because people don’t really know what they’re getting into until they delve in. You can’t really take the word of a company that a product is great or will do what they say it will do, because their goal is to sell you the product. The only way I can tell their product is effective is if I test it out myself. Other than that, I agree that it could be used to stifle employees with monitoring. I also think it’s easier to bring new employees into a policy or procedure than it is to implement a new policy or procedure after the fact. I think about our current document tracking system. When I started working for my company, I was happy to do it and found it beneficial. Later, when we implemented additional tracking methods, I was very resistant. I think it would be the same for this system. Wow I did not know they had stuff like this out. Things are getting really techy out here. It is both good and bad. Of course in the wrong hands anything could be. I agree, it can be good or bad. When I first read about this program, I was instantly resistant, because I don’t like to be micromanaged and employee monitoring makes me think of that. On the other hand, quite a few employees are paid hourly. My husband, who works in the service industry, uses a type of monitoring system to track billable time. My company has billable and accountable time. When I start thinking about it in those terms, systems like this do make sense. Thanks for stopping by, Vertical. Thank you for such a lovely review. I had no such idea monitoring programs like this existed. How would this work for someone hiring virtual assistants in another country? Also, is there some kind of similar software that does not allow employees to manipulate the data? I would love to get my hands on software where I can monitor my virtual assistance productivity without them being able to manipulate the data. An individual in another country would need to install the software on their computer and have an account (provided by the employer) in order for you to track their time. There are other monitoring software available… some more convert than others. As such, some software has the ability to monitor employees without their knowledge. If they have no knowledge of being monitored, they certainly wouldn’t be able to manipulate the data. However, I haven’t reviewed them yet. I think with the Screenshot Monitoring program, it’s a matter of picking and choosing your battles. The employee is in control over what is monitored. However, if an employer implements the system, they can likely stipulate only tracked time is paid choose to pay only the time tracked. If the employee doesn’t turn on the tracking system and is deleting the screenshots (the only real “manipulation” they can do) there’s really no record the employee is doing the work. I’d check with the labor laws to see how employee monitoring and wages can work hand in hand. 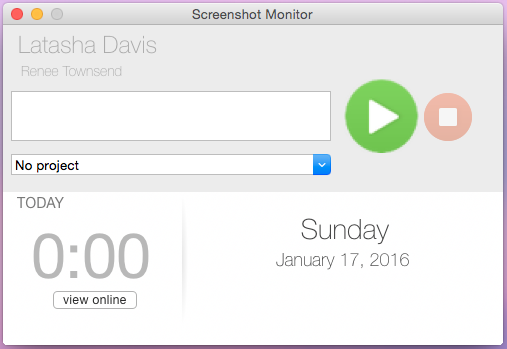 As I mentioned in the review, Screenshot Monitoring comes with a free trial. Give it a whirl.